They run blood tests and a sheet comes back with numbers I don’t understand. The nurses talk to her about her hemoglobin. Some sort of problem. They inject something to ward off nausea. There are three little bags of pre-meds. Takes over an hour. 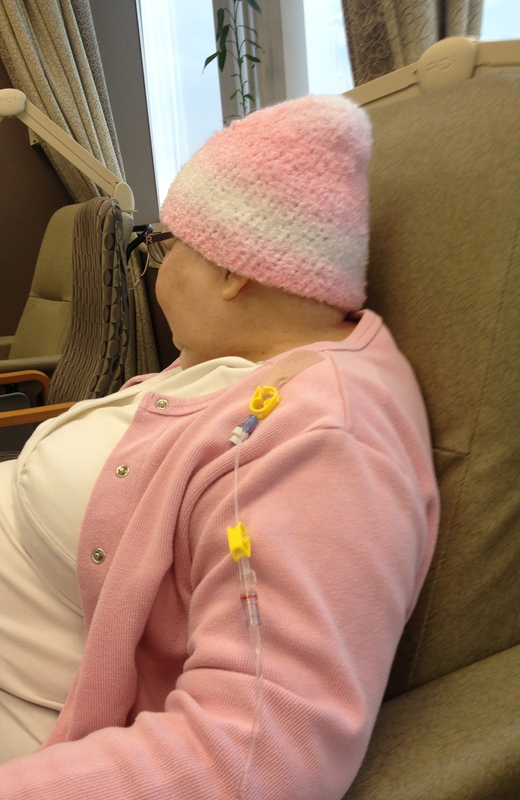 Followed by two big bags of chemo, Taxol. Her last treatment in this round. We will be here for three or four hours. She doesn’t want the TV, or a snack, or a magazine or word puzzle. She doesn’t want the foot rest because she wants to swing her legs, dance around. 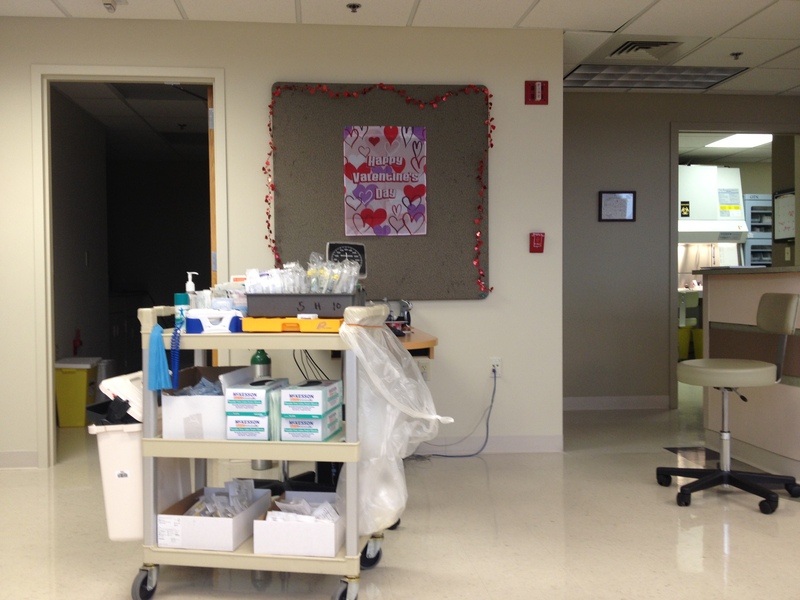 Other adults come and go, getting the shots they get during their off-weeks from treatment. She is the only one here to stay for chemo. While we wait, she writes the nurses a check. Co-pays are due at the time of treatment. “Usually the chairs are full. It is rather lonely today.” she says. Even when cancer patients have friends and family around them during treatment, it can be a lonely place. I see it in their eyes. From Cairo to Michigan. There is a strength and sense of company that only they can find. That only Hussein can find. 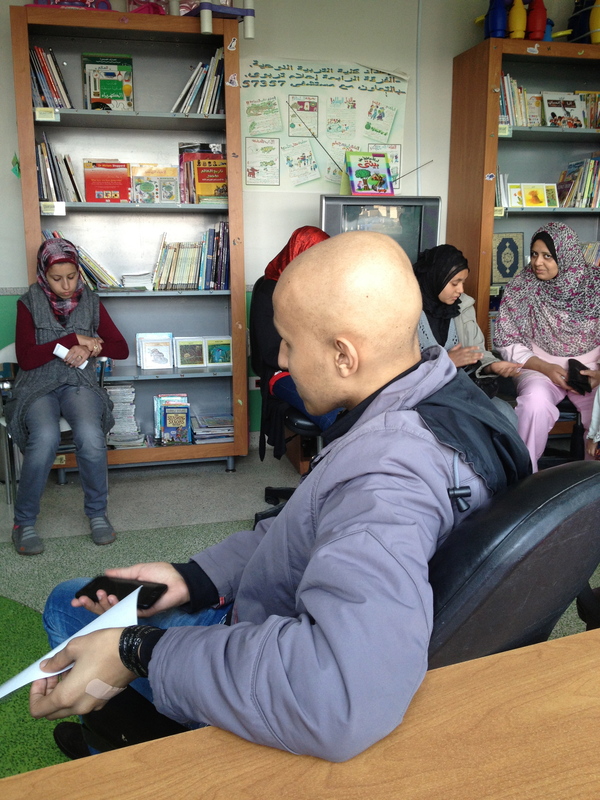 Hussein at teen peer group at 57357 Children’s Cancer Hospital Egypt. That only my mom can find. And today is Valentine’s Day. Happy Valentine’s Day to anyone around the world, of any age, keeping themselves company on this journey to rid themselves of cancer. Are you in a Revolution?